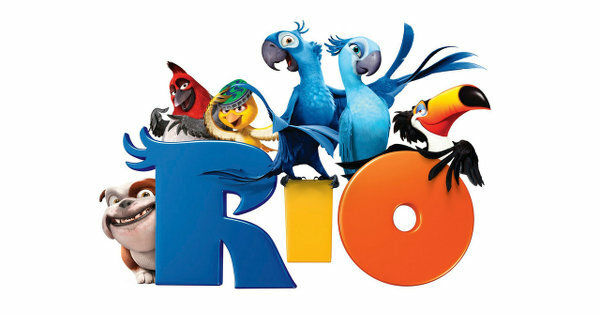 Loro Parque will present on the 30th of April its new and spectacular film Rio, produced in 3D especially for the Naturavisión cinema. It is an exclusive version of the blockbuster film by Carlos Saldanha and based on the story of one of the rarest species of parrots in the world, the now extinct in nature Spix Macaw and emblem of Loro Parque Foundation. To celebrate this event, Soraya Arnelas, international singer and voice of the character Gaby, will present an exclusive performance. The uniqueness and scarcity of these species of endangered parrots make it virtually impossible to see them first hand, being Loro Parque (in Tenerife) the only place in Europe where it is possible to see the different blue macaws, as it houses the largest and most varied reserve of parrots of the planet. The premiere of this new version of the animated film is a good opportunity to raise awareness among younger members of the family about the importance of protecting the environment and how human actions can lead to species extinction. This is the objective pursued by Loro Parque Fundación through its educational and conservation projects. With this new creation, spreading a more attractive message will be possible. The Spix’s Macaw is considered extinct in the wild since 2000 and its future depends entirely on the release of parrots bred in captivity. Within the framework of an international cooperation program that thanks to Loro Parque Foundation has managed to increase from an initial number of 11 founding specimens in the late eighties up to 100 in April 2015. With a contribution of more than $ 725,000 for field project in Brazil, and more than one million dollars for the program under human care, Loro Parque Fundación (LPF) has been the main promoter of this recovery effort for more than 20 years in which it has been developing research, education, reintroduction and restoration of the natural habitat of the macaw.